Plumbing contractors that have yet to take part in the trenchless pipe bursting process are missing out on a profitable revenue stream. 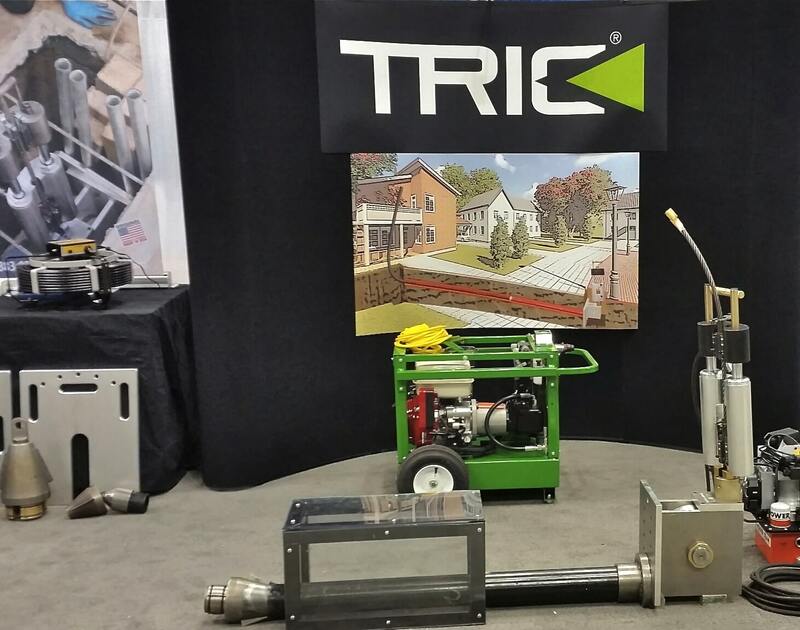 TRIC Tools fully realizes that our industry as a whole is slow to adopt new technologies and processes when it comes to pipe replacement for a variety of reasons. Plumbers have been incorporating the use of the same open cut trench method, and have been relying on the same machinery and tools since heavy-duty excavation equipment was invented a long time ago. While it is true that changing the way your plumbing business has been operating for years on end can be a difficult challenge, we are here to help you make that transition. Our company also knows that the investment in all new equipment, tools, and accessories and training your employees how to use them correctly may just be something that you cannot afford at this point. However our pipe bursting rentals program for plumbers in Richmond, California is actually something that you cannot afford to miss out on. We make it simple an affordable for you to take part in the high-tech process. In turn it will help you to find more customers, provide your business with higher profit margins, and give you the ability to take your company to the next level. TRIC Tools will match you with the right equipment package to fit the needs of your growing business, and even train your staff how to use it properly. We know that you may have a lot of question about the pipe bursting industry, and are here to guide you through it all. For example, a great deal of plumbing contractors believe that all trenchless technologies are the same. While none of these advanced methods require a large and destructive trench in order to expose the pipe for repair or replacement they do have different applications. Cured in place pipe lining can only be used to repair sewer, water, and gas pipes that are in decent shape. If the pipe is past the point of no return than the pipe bursting method is necessary. We truly believe that trenchless pipe bursting is the superior process. This is based on the fact that it can be performed in any situation whether the pipe is slightly damaged or completely broken. In addition, pipe bursting effectively removes the old pipe and replaces it with a brand new one instead of simply lining the interior of the existing pipe with a coating. Plumbing contractors that are not completely familiar with pipe bursting are also curious if the process can be performed when the size of the existing pipe needs to be increased or if it is only good for size on size applications. While a considerable amount of pipe bursting in the United States is for size on size pipe replacement where the additional capacity is not necessary, this method does have the ability to easily increase the size of the existing pipe. The entire pipe bursting process can be completed in as little as one day from start to finish. The work actually takes place underground. There is no excavation required with the exception of a small entry point at each end of the pipeline. That means you can save your customers from expensive landscaping and hardscaping repair and replacement while saving your business a tremendous amount of labor costs.